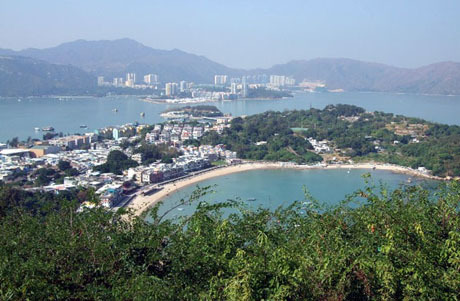 Hong Kong has some 234 “Outlying Islands” within its territory, most of which are tiny and uninhabited. However several of the larger populated islands are easily reached and provide an excellent opportunity for a day or half-day trip to get away from urban Hong Kong and explore a variety of culture, traditional communities and outstanding scenery. Each of these islands can be reached within 50 minutes by regular scheduled ferry services from Central Ferry Piers on Hong Kong Island. Whilst the islands are much busier at weekends with locals seeking a relaxing escape from the frenetic pace of life in most parts of Hong Kong, during weekdays some parts of these islands can be delightfully peaceful. Fascinating narrow alleyways, shopping streets and seafood restaurants in its densely populated centre are sandwiched between some wonderful hilly scenery, coastal walks and panoramic views. 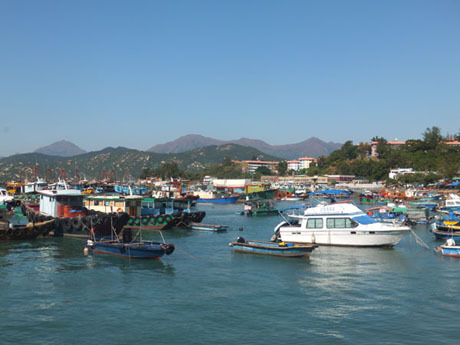 A pirates cave, ancient rock carvings, temples, shrines, a busy and colourful harbour, sandy beaches and a scenic family trail make charming Cheung Chau, famous for its annual bun festival, a joy to explore. Tiny Peng Chau with its temples, shrines, pavilions, beach and scenic views from Finger Hill still has plenty of traditional Chinese character and a rural feel in places. It can easily be explored in a half-day or included as a port of call in an “island-hopping” day trip. Laid-back Lamma is a peaceful, green and rugged rural island, featuring temples, caves, pavilions, idyllic coves and beaches, seafood restaurants, abandoned settlements and a floating fishing village and exhibition. 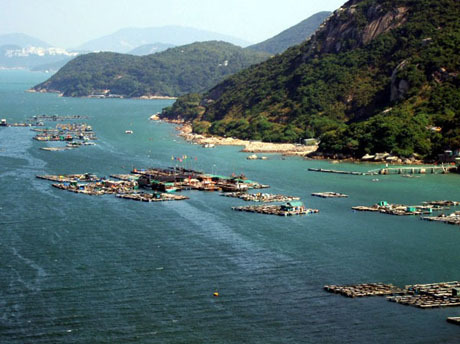 An ideal way to explore Lamma is to follow the family trail linking the island’s two main villages. A giant Buddha, monasteries, temples, a stilt-house traditional fishing village, spectacular cable car journey, rugged hills and scenic coastline, walking trails, sandy beaches and secluded bays and modern towns are features of Hong Kong's largest island. 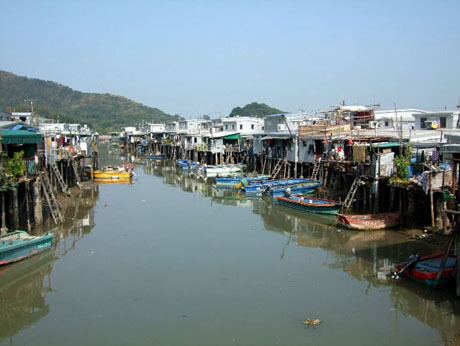 Stilt houses at Tai O, often referred to as "the Venice of Hong Kong"